Each and every employee brings to your facility different experiences and different levels of expertise. You have medical/surgical nurses, intensive care nurse, cardiac catheterization personnel and emergency department personnel. No two departments share the same healthcare experience. Yet all are required to hold a current Basic Life Support (CPR) certification. Many of your employees have performed CPR many times during the renewal period and many others have not. Many function at a high level of practice during resuscitation and some are rarely if ever involved in resuscitation. How then can you meet these varying needs using the same course? The answer is simple. 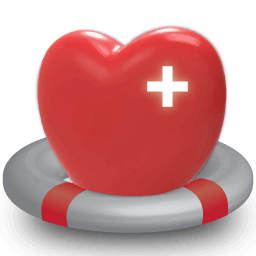 Our online Basic Life Support Course makes available all of the American Heart Association Guidelines for Basic Cardiac life Support in a concise, applicable format. Those who require just a quick review can do so. Those who require an in-depth review of all of the information or even to learn it for the first time have the option to do so. The course can be tailored by the individual to meet their individual educational needs. Healthcare providers aren’t wasting their valuable time and you are not compensating them to do so. At the completion of the course each student is required to prove his or her competency in all of the skills of the Basic Cardiac Life Support certification by completing a written examination successfully. You have the documentation you need and your healthcare personnel have the skills that your patients need. Our online training makes everyone a winner! Tired of sitting through the same four hour CPR class every two years? Tired of hearing all of the discussion of resuscitation in the emergency department, the intensive care unit or the OR? We recognize that while recertification is required every two years, the science doesn’t change near that often. That means you have to hear the same thing over and over despite that fact that you live and breathe basic life support every day on the street. Our Pacific Medical Training branded CPR training materials are proudly sold under contract to the U.S. Army. Take this course to fulfill your employer's required job training. This form is completed by our instructor, the students’ company’s instructor or a third party instructor we connect the student with. In all cases, the instructor will be holding current and valid BLS instructor credentials.